It turns out that, according to the Twitter account @WWEStats, Jeff Jarrett is now the record holder (usurping Zeb Coulter) for the longest gap between competing in matches on Raw at the aforementioned 19 years, 4 months, and 8 days (which you can watch the confrontation and the match below). When you think about it, Jeff Jarrett’s wrestling career now includes this new record, an appearance at New Japan’s Wrestle Kingdom, a title match at AAA’s Triplemanía, and too many Bound for Glory matches to count. 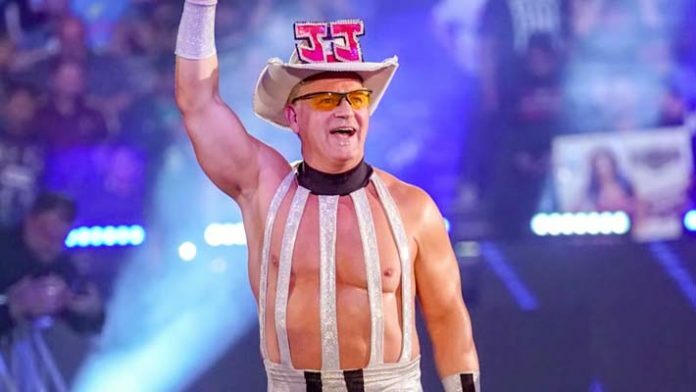 Maybe Double J can throw in a cameo at Final Battle?